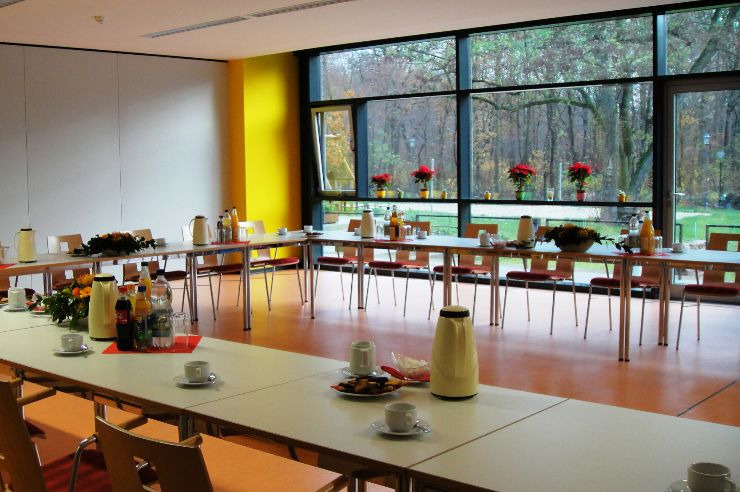 The Youth Hostel Dessau lies on the edge of a wood and is surrounded by nature. 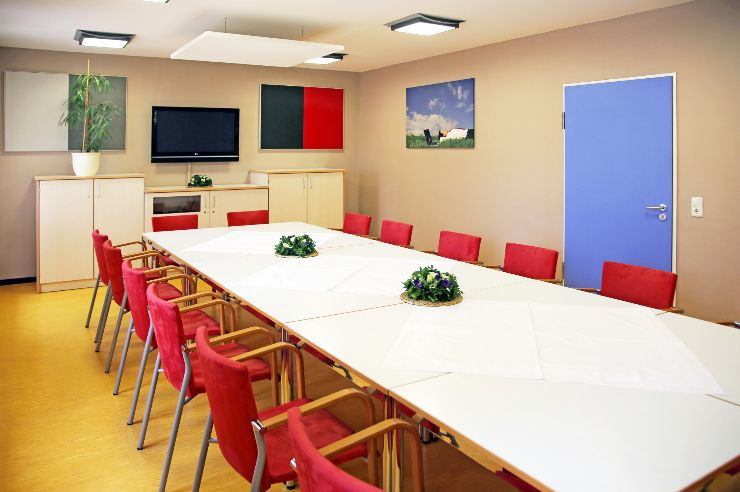 Not far from downtown Dessau, our house offers you a conveniently located and modern place to stay. 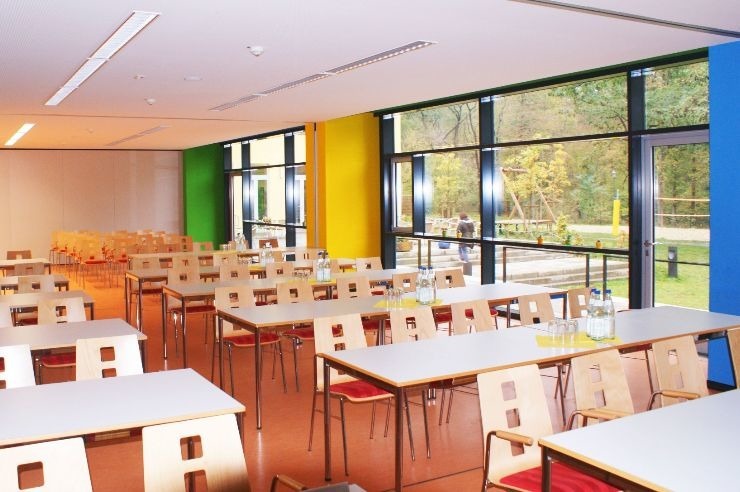 With 5 seminar rooms and 2- to 7- bed rooms with shower and toilet, the hostel is ideally suited for families, school groups, and seminar groups. The hostel was also designed to be handicapped-accessible: four rooms are wheelchair-friendly and an elevator also enables guest with limited mobility to enjoy their stay. Our large playground facility is also a hit with children, and is also designed for handicapped accessibility. Dessau-Rosslau and its surroundings are equally interesting for nature lovers and culture fans. There are UNESCO world heritage sites such as the Bauhaus buildings including the Meisterhäuser, the Dessau-Wörlitz gardens and the Mittelelbe biosphere reserve, all close to one another. History and modern age take turns here. Parks and alleys lead up to castles and minor architectural sites characterise the city and its surroundings. On the other hand, there is the contrast with the modern buildings created by the Bauhaus artists Gropius, Kandinsky, Klee and Feininger. Open daily, except between 24th and 26th December. The hostel is located in the leafy suburb of Ziebigk, close to the "Bauhaus" Building, the "Masters' Houses” and the central train station. Cyclists on the R1 path (European Bikeway) and other popular trails will value the easy access to our hostel. 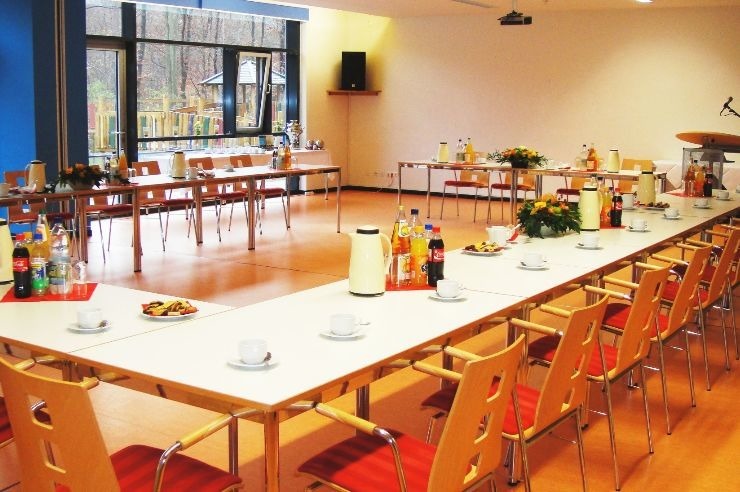 For groups of up to 40 people, who would like to arrange their own meals, we can reserve a separate, second building at "Waldkaterweg" number 11. This building, newly renovated and outfitted in May 2009, is just 10 minutes by foot from our main hostel. (Reservations and Check-In should be done at our main hostel building at Ebertallee 151). Come and see the magnificent parks and plenty of historic buildings in the Garden Kingdom of Dessau-​Wörlitz which forms a beautiful architectural contrast to the modern architecture created by the Bauhaus artists. Enjoy the beautiful landscape of the Middle Elbe Biosphere Reserve. All theese cultural and natural treasures are UNESCO world heritage sites.